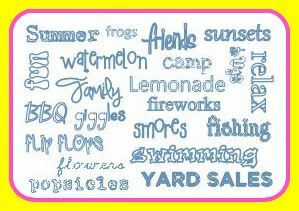 I was going thru my pictures of years past and decided to make a collage of all things summer for us, it brought back so many memories, and fun times, good weather and bad, we have done so many things, we truly are blessed. It really brings a smile to my face! 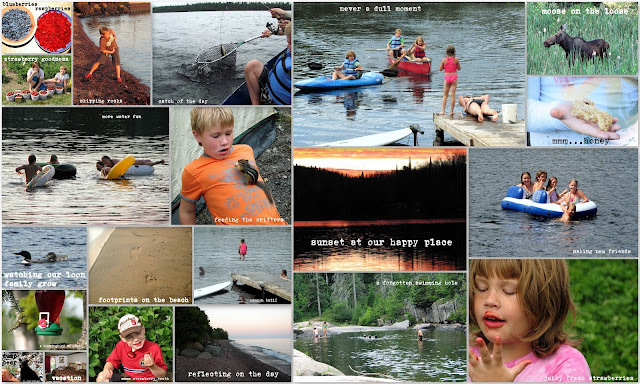 I will say that I love Picasa and play around making collages of photos and words all the time. So creating these for summer was just fun to do. I am sooo looking forward to the drive to camp today, I am not exactly excited to work up a sweat cutting the lawn weeds out there or all the work that needs to be done to open up, but the results after are heart warming, and worth it. Everyone that ventures to our "Happy Place" can see why I call it that, and friends and family are always welcome, the sauna is fired up and ready, the lake is literally a hop, skip and a jump away, and we are almost always there during the summer months. Wouldn't want it any other way. Any special moments for you, any special places you like to be in the summer? I would love to hear your stories, honestly I would. My favourite season is the fall, but my most memorable times are during the summer. Have fun everyone, play safe, use sunscreen (I fry if I don't)and smile, life is too short not to appreciate what you have.